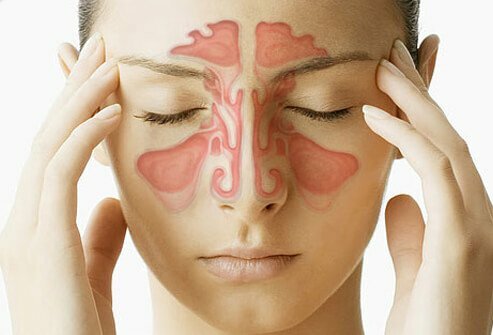 Basically, sinuses are the two cavities that are present on both the sides of the nose and these get blocked due to some kind of infections, cold or allergies. The blocked passage can cause the problem like that of snoring, give severe headaches and also one might face problem in breathing. When the problem of sinus becomes severe then it might stretch for a very long period of time. Sinus can further lead to meningitis or brain fever. Sinuses are the spaces that have air filled in them and are behind the eyes, forehead, nasal bones and cheek. The openings in the sinus when get blocked these become prone to various infections. Cure sinus in the easiest and the quickest way. Massage seasame oil after warming it a bit as it is an ultimate remedy for curing sinus. Massaging the hot oil will transport the essence, goodness of the herbs deep into the skin. The nasya treatment in Ayurveda helps break up the problem causing phlegm and thus opens the congested tissues that are causing sinuses. Add the goodness of natural things to the water like cough drops, eucalyptus oil, ginger and all the other healthy medicated herbs to the boiling water and then take steam. Have you tried flavored water if you haven’t you must definitely give it a try. Flavour the water with spices and herbs that soothes all the things that causes you problems. Adopt the habit of eating fresh vegetables and fruits. However, make it a point that you take a balanced diet and top of that take fruits and vegetables or else the drastic diet change can cause health issues. Avoid delays in taking food, water. Basically it should be the right mix of all the different food types, drinks, fruits. In case you avoid food, drinks, vegetables too often that can cause formation of toxins and that will upset your digestive system. Did you know if you take lemon and ginger tea regularly then it will never let sinus recur. Make drinking ginger and lemon tea your daily habit and on top of that exercise daily and maintain a healthy and happening lifestyle. Just don’t do exercises that will drain you out of your energy or putting it in better words the exercises should not be exhaustive. Exercising with the right diet will help boost the metabolism. Ayurveda is the natural way of treating the problems and with the dietary modifications a lot can be altered, improvised and made better so while taking the help of Ayurveda to heal you have to also have to keep a strict eye on your diet. Avoid food that can trigger problems. Ayurveda has the permanent cure for sinus, the treatment is simple, and maybe it can take more time to show results as compared to other approaches but there could be no better and healthy way to uproot the problem.